The minute I heard that Bethel Church released an instrumental album, I knew I had to hear it. Not only has this church been in a constant state of revival for years on end, but this church has also been the life-giving source for powerful worship music (Bethel Music, Jesus Culture, and a host of others) for years now. After listening to the first 60 seconds of the album, I knew that this would be a CD packed with ingenuity, creativity and the Holy Spirit. 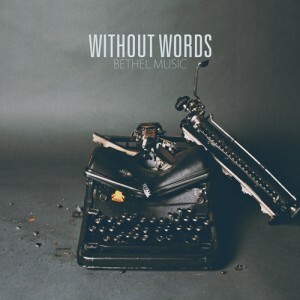 As the last song faded to a close, the Bethel worship team had met — and exceeded — all of my expectations for an instrumental worship album. In fact, this album redefines our understanding of modern worship. Taking the listener from intense rock to ambient soaking using elegant strings, electric guitars and mellow brass, this album stretched across genres with relative ease. They even managed to connect the listening experience with the album’s overarching theme and cover art by including an old typewriter as the percussion in a few songs – ingenious and so very powerful. I have yet to hear an instrumental album so eclectic, so cutting-edge and so worshipful in all my (relatively few) years on this earth. The whole album is a fresh offering to the Lord and to the rest of the world. Take a listen, and buy a copy. You won’t regret it.